Chatbots! You might have experienced them with some web or mobile apps. Wondering how can they be of help to you? No worries. You have come to the right place. Here is a walkthrough to how chatbot developers can help you reach out to more target audience's, drive engagement, and achieve the conversion goals on social media. Why Chatbot Development Deserves the Attention? 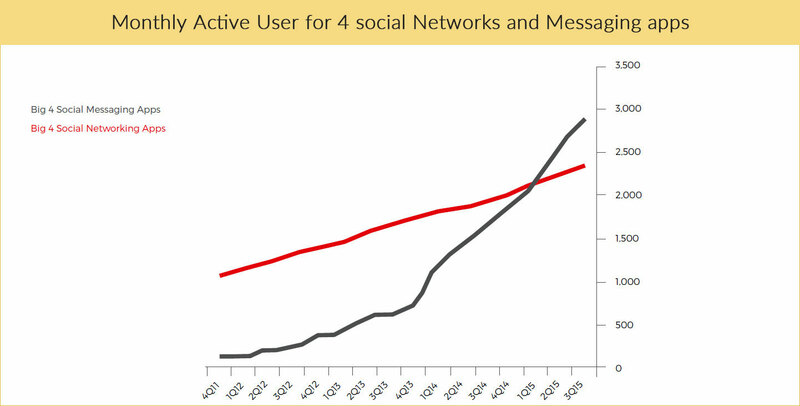 The total number of monthly active users for the top 4 messaging apps (Messenger, WhatsApp, WeChat and Viber) has surpassed that of top 4 social networking (Facebook, Twitter, Instagram and Google+) app users. So, you must serve prospects or customers where they actually are. There are over 30, 000 chatbots alone that make use of Facebook messaging platform. So don’t get left out of the race. Besides taking your business closer to customers, the integration of chatbots into business processes like sales, marketing and customer service significantly cuts down the operating cost by making redundant hiring and retaining a workforce. Days of IVR (Interactive Voice Response) and personal voice assistants are over. 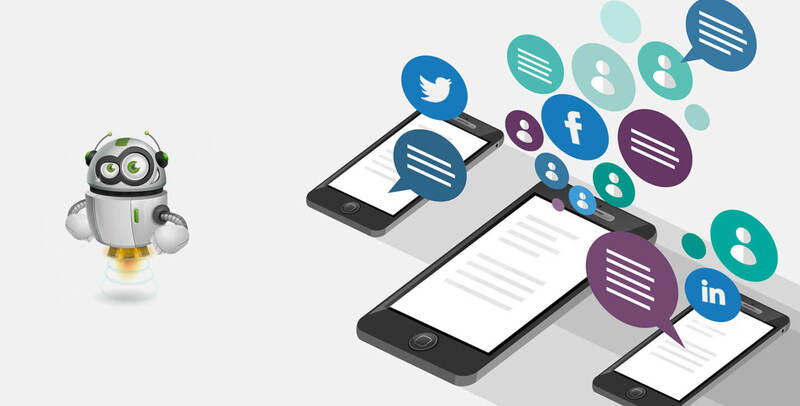 Today, the consumers want to connect with your brand in a more natural way: the very manner in which they connect with their friends and peers. And AI chatbots when crafted and set up correctly with your social media pages can help you do the job in the best possible manner. The human-like conversation flow that we see in the chat window makes the users feel at home. The language selection option is another advantage that is extremely helpful if you want to serve customers across different territories. So the language disparity will no longer discourage the users from getting involved with your business. Imagining a content marketing strategy without social media app is next to impossible. Understanding the analytics of social media, and interests and preferences of the audience demands a good deal of efforts and time as social channels are getting overwhelmed with data with every passing moment. But AI chatbot translates that complex and tedious game into a child’s play. It can identify the trends, decode feedback and interests of users, judge what’s workable, push content to the right audiences, interact with external content or influencer marketers, and monitor the impact of the distributed content in a quick and easy manner. The result you can expect: targeted social media and content marketing, higher website traffic, healthier user engagement, quality leads, and more business. 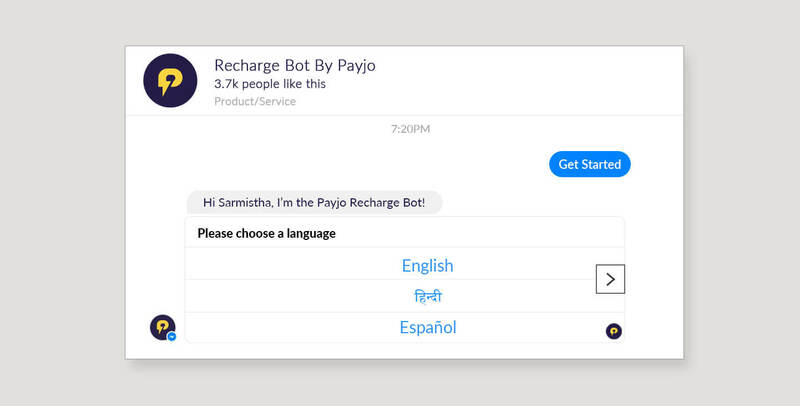 Chatbot development companies have started leveraging the social messaging platforms like Facebook Messenger, Skype, WeChat, Twitter, Kik and Slack to name a few. Chatbot builders like IBM Watson and Wit.ai are also available. A build chatbot can be integrated with any device or software systems. AI chatbot can help you buil the self-serving platform to serve varied purposes. It can empower and complement content marketing, sales and marketing, and customer service departments substantially. The only thing that matters to users is that they want relevant information and services and professional approach to what you do. Build a chatbot that deliver seamless and authentic experience to users, allowing customers to engage in a natural way.